Below are seven excerpts from Harry’s blog during November 2014. I am no longer the person you can confront or agree to disagree with. You must pick your method of disagreeing with me very carefully. This does not make my way of thinking right or wrong, it just means I no longer have control over it and there is danger of me going into … uncontrollable rage. How would you like to go through life not knowing or caring what times it is, or maybe not even knowing what day or month it is. I gave up wearing a watch several years ago because I lost all concept of time. I dread every 3 months when I get a blood test and they ask me when I was born. I struggle with concentration and nightmares but have motivation when it comes to awareness. So many read my posts and listen to me speak and wonder about the severity of my disease. … I am very good at hiding my disease. I avoid the things I can not do and hide when my disease grabs hold of me. I go into my safe place and escape reality. I will write about it after I regain control but never about the scary things that are haunting me. … like most people diagnosed with dementia, I want you to see the person I once was. Some days we get so focused on the bad things happening in our lives that we don’t see all the good things going on around us. I for one am so close to the death and misery of dementia that I sometimes get so wrapped up in the bad things in life that I miss the beauty that is right before me. Every now and then I need to stop and refocus around the ugliness I see, because beyond all the sadness, there is happiness. I now know you can smile during the hardest of times. There is so many things that are out of my control and no matter how much I worry or grieve about them, I can not change the results. You have a choice, you can let the situation drag you down knowing it will not change, or you can let it go and move on. I’m not saying you have to forget about it, just that it will not control your life anymore. At times this is a hard choice because you feel a need to fix it and there is nothing to fix. In the darkest of times, there is always light and beauty, sometimes you have to stop and look for it, it is there. … I feel so blessed because after ten years I still have days that my cognitive thinking is good and I am able to follow my dreams. Now I’m sitting here waiting on the Happy & Healthy Caregiver Telesummit to start tonight. I will be talking at 8:00 about my life living with Alzheimer’s. These are so important to me because if gives us, living with dementia the opportunity to share our lives and break down the myths that go with dementia. Many people know about our disease but unless you live with it 24/7 you only know what you read. There is so much more then what you read and this information can only come from someone that shares their fears and explain what makes them feel worthy again. It is not all doom and gloom and you can live a enjoyable life and accomplish great things if you do not let yourself be handicapped by dementia. I hear so much about death with dignity. Oregon is the first state to permit death with dignity. I would like to see a meaningful Life with Dignity act passed. Why can’t I live the remaining portion of my life in dignity. 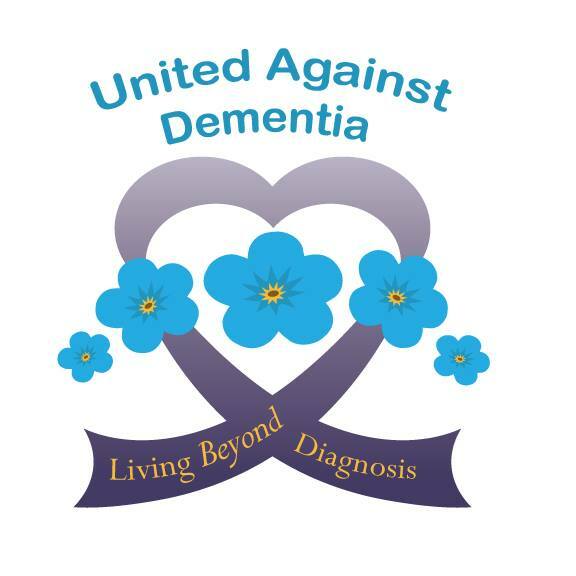 Why can’t we illuminate the stigmas associated with dementia. Why can’t Pennsylvania be the first state to pass the Life with Dignity act which would declare the need to make our towns and cities dementia friendly. Thanksgiving is tomorrow and I have so many things to give thanks for. Beginning January I will be starting my 11th year of being diagnosed with Alzheimer’s. … I’m thankful for the strength and wisdom I received to let me live a productive life with my diagnosis. I’m thankful for my friends that stood by me during my darkest of days. I’m thankful I was giving the ability to Stand Up and Speak Out about my disease. Most of all I am thankful that I was giving the chance to learn the true meaning of my life and understand that there is life after my diagnosis. I could sit here and complain about all the things I lost and continue to lose or maybe about all the stigmas and unjust things that happen to me but I am thankful I can rise above that and gives thanks to what I still have left.
. Is it because I got my self respect back and realize that my life does have meaning?